Reedy is one of our co-owners and has been a buyer specialist since 2001. His efforts are focused each day on helping clients to find their perfect home in the Lawton area, and to save them money on their purchase. Reedy was raised in Lawton, and his unique life experience both in the area and as part of a military family allows him to connect with other military families during their home search on a deeper level. 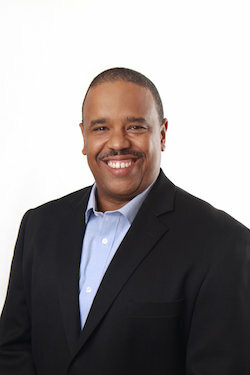 Prior to being a realtor and business owner, Reedy worked in restaurant management. His experience in this role gives him a unique advantage in working with people who have a wide variety of preferences and personalities. Reedy finds that he’s able to connect with a larger majority of folks in his career because of this background. Reedy has been married since 1999, and he and his wife have three boys and one girl. When he’s away from the office, he’s often with his two younger boys traveling for soccer games. His oldest son followed in his grandfather’s footsteps, and is a part of the Oklahoma National Guard, as well as a student at Oklahoma State University. Reedy’s daughter is the epitome of a “daddy’s girl” and loves taking care of animals (dogs in particular) and someday wants to be a veterinarian. 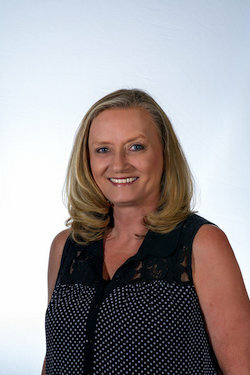 Stace is part of our co-owner team and has been a listing specialist since 2004. 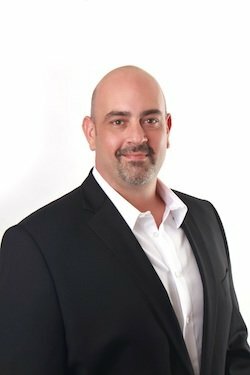 He’s passionate about working with clients to help them get the most value for their homes, and when clients tell him that they feel like they’ve gotten a great return on their investment, he can go home feeling satisfied with a job well done. Stace has been a Lawtonian for the majority of his life and is proud to call Lawton home. In his off-time, Stace puts a high priority on spending time with family, including his daughter Madelyn and his mom. Additionally, he is passionate about bowling, and has been an active bowler since he was a kid. He has competed in multiple tournaments across the nation and is even considering one day joining the Professional Bowlers Association (PBA). Jolene is driven by passion and experience, which allow her to connect with her clients on a deeper level as their Realtor. Her unique and unfortunate experiences as a renter are what drive her to search out the best opportunities for her clients, and it brings her great satisfaction to hand them the keys to their new homes. Jolene grew up in Sterling, OK, and moved to Lawton with her new husband in 2010. They spent time in a bad apartment, and during their push to escape, Jolene became fascinated with the process of buying and selling homes. This fascination drove her to join our team in [], where she has found success in a comfortable atmosphere that is powered by a constant drive for improvement. Jolene and her husband have a daughter, Sarah. When she’s away from the office, she enjoys spending time with friends and family, and attending church and prayer groups. Adrianne is our Duncan-based Realtor, and she joined our team in 2008 after she stumbled across our company in a previous life. She is driven by taking care of her clients and building relationships with them, and considers herself a "people person" whom people can trust with their buying and selling decisions. Adrianne finds her profession as a realtor to be very rewarding, allowing her the freedom to spend time with her family and support her community. When she’s away from the office, Adrianne enjoys fitness and helping others meet their healthy goals, as well as working in the community. She is a member of numerous boards and committees, active in her church and a youth leader. Adrianne considers her family to be the most important part of her life - she has been married for over 20 years and has two children. Driven by a mission to help everyone have a place to call “home,” Shawna joined our team in 2018. 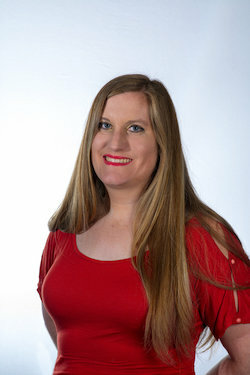 She has a strong connection to the local community and the surrounding areas and has been in Oklahoma for most of her life, which provides her with unique perspectives to help better serve her clients. Before becoming a Realtor, Shawna worked in the medical industry and as a reserve police officer and dispatcher. Though she was born in Houston, TX, she was raised in Comanche, OK, and also spent time living in Marlow and Duncan – making her a true Southwest Oklahoman. Shawna and her husband enjoy living in a smaller community, and she has a multitude of passions. 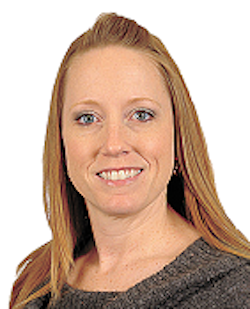 Shawna enjoys traveling, local art and music, cooking, and staying healthy. She is a proud pet mom, and leads a lively family and social life. Darlene is our Accounting Manager, and she has been a part of our team since 2010. With her degrees in accounting and business administration, Darlene often acts much like an office manager as well. One of her favorite parts of working with Real Estate Experts is our family-like atmosphere – her boys feel like they’ve been raised right here in the office! Darlene is from southern Illinois, and she married her high school sweetheart in 2008. In 2009, her husband joined the Army, and their first duty station brought them right here to Lawton. In the five years they spent here, they started their family, having the first two of three kids. The Army then took them to Germany, and thanks to the power of the internet, Darlene was able to work remotely during the two years they spent there. Now she and her family are back in Lawton, with the addition of their daughter in 2018! Carla is our Listing and Closing Coordinator and our Operations Director. She’s also a Licensed Sales Associate, which allows her to better assist our clients. Carla is passionate about her role here with Real Estate Experts because it allows her to have constant contact not with the clients but also with the agents. Raised in San Angelo, Texas, Carla and her family moved to Lawton to be closer to extended family in 1972. She has three adult children, 6 grandchildren and 1 great granddaughter. Outside of work, Carla enjoys collecting antiques, being outdoors, and spending time with her friends and family. 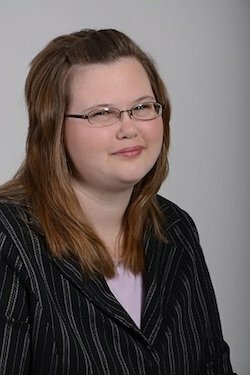 Kristy has been with our team since 2015 as a Sales Agent and Assistant. She is passionate about being a “helper” – regardless of whether she’s helping clients or other team members, as long as she’s helping, she’s happy! Her days consist of working with clients and helping them through the adventure of buying and selling their homes. Away from work, Kristy enjoys spending time with family, cooking, sewing, gardening and figure skating. Her husband has been in the National Guard for 18 years, and though their kids keep them busy with their various activities, she always makes helping people a priority.